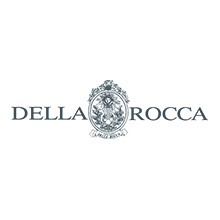 Della Rocca Auction House was founded in Turin in 1986 and is run by brothers Giacomo and Guglielmo Fiorio, accomplished antique dealers and refined art connoisseurs. They both have an over forty-year-long experience in the antiques market and have always cultivated their passion for antiques, and art in general, of every period and medium. In 1986 came the decision to found an auction house; so the business officially opened its doors on 4th December 1986 with an important auction sale of paintings, antique furniture, art objects, silverware and jewellery, coming from a famed villa on Turin hillside and from important bequests (such as that of journalist Toniolo) to the Piccola Casa della Divina Provvidenza, a large and illustrious charity institution based in Turin, also called “Il Cottolengo” from the name of its founder.